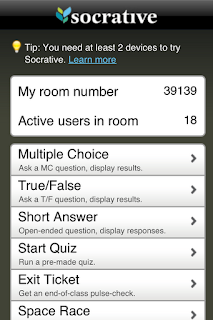 Students can use Socratic on any device, on any platform. Below are 13 ways that I am currently using Socrative as formative assessments with my students. Here is just one example of how I use Socrative with my students. In this example, I first use Socrative as a pre-assessment to get my students' background knowledge on how they perform an online search. I have them rate their ability level of conducting an online search from a scale of 1 to 5. Then I display their responses in the form of a bar graph. I then ask my students to think critically by having them draw their own conclusions from the graph and share them with the class. Next, I have my students respond to the following short answer question: What is one trick that you use to help you perform a Google Search? I have them type in their responses for everyone to see. After all of their responses are displayed on the projector, the students then vote on the response that they feel is the most valuable. Next, I have my students watch a screencast that I created, showing them additional tips, tricks, and features of Google Search. 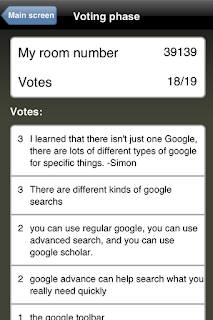 Lastly, I have them take a Post-Assessment and have them respond to the short answer question: What is the most valuable feature of a Google Search that you learned from watching the video? Then I have my students vote on the most valuable response. Great post, thanks for the ideas. 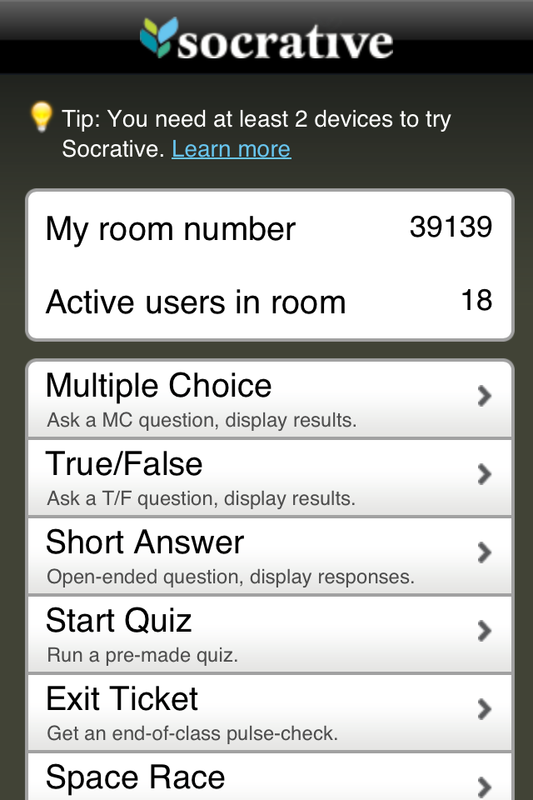 I have just started using Socrative. One way I use it is to give an article to read, and have them take notes, define words, and/or answer questions as they read. Then, I have them share notes and compare answers. Then, I follow it all up with a pre-made mixed multiple choice/short answer quiz, working in teams. By the end of the quiz students are pumping fists and giving high fives. 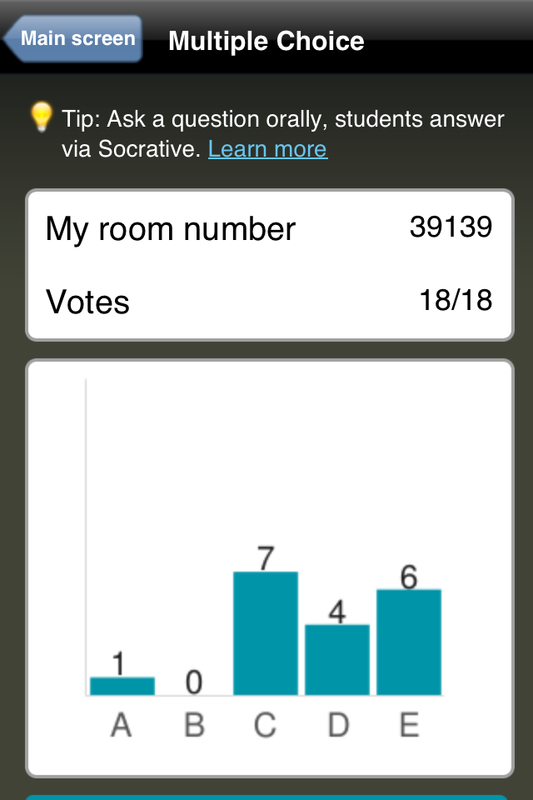 I like Socrative, but it is not one of my favorites. It is useful and has immediate feedback, yet I prefer and have used other "quizing" tools. Helpful article. I plan on using Socratic immediately. I will probably still use Google Forms. However, I feel students will be more engaged with Socratic, and it is available on multiple platforms.